Tax Executives Institute, Inc. (TEI or the Institute) is a nonprofit membership association that was founded in New York City in 1944 to serve the education, networking, and advocacy needs of the in-house tax professional community. Since its founding, TEI has grown to become the preeminent association of in-house tax professionals worldwide, serving over 7,000 individual members in fifty-seven chapters and eleven regions located in North and South America, Europe, and Asia. 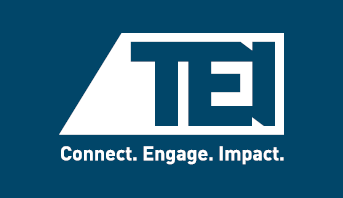 When you register with us, you gain access to a broad range of tools and services, resources and archives, all assembled to serve you and add value to your TEI membership. To deliver maximum benefit to our members, oftentimes TEI will share your information with our committees, chapters, regions and selected others to assist them to provide value to you. Some common examples include, providing select member emails to committee leaders so they can assemble a targeted distribution list, providing TEI members with access to a membership directory with contact information for all participating TEI members, and providing conference registration lists to sponsors and other practitioners speaking at the conference. In every instance, we endeavor to preserve the security of the data you have entrusted to us. To provide our products, services and websites and for the other purposes set out in the section titled, “Use of Information,” below, we collect and process personal data from our applicants, members, customers, and other users of our websites, products and services. Some of this information is required and enables us to, for example, enter into a contract with you or determine your eligibility for membership. Other information is optional and allows us to tailor our products, services and websites to you in a manner that is consistent with our mission and educational objectives. Examples of information we may collect from you, depending on the circumstances, include, but are not limited to, your contact information (e.g., name, email address, mailing address, phone/fax numbers), your gender, your tax-related employment history (e.g., current and past employers, current role or job function, professional qualifications, designations and memberships), your tax-related interests (e.g., areas of taxation in which you are interested or spend a significant amount of time), your payment information and information about your use of our and third-party websites, products and services. In addition, when existing TEI members renew their membership, we request certain information to ensure that TEI’s initiatives, activities and events are diverse and inclusive and reflect the attributes of the communities we serve. Such information includes, for example, the member’s ethnicity, gender, sexual orientation, citizenship and age. Members are encouraged to provide this information, but doing so is optional. Further, member responses are strictly confidential and are used solely for their designated purpose. (The examples of information described in the paragraph above are collectively referred to as, Personal Data.) As noted, you are not required to provide us with all of the Personal Data we request, but, if you do not do so, we may not be able to effectively provide you with our products, services and information. From time to time and as permitted by applicable laws, we may use third-party sources to collect Personal Data about you and update any existing Personal Data that we currently hold. Such third-party sources include, but are not limited to, publicly available data sources, publicly available social networking sites such as LinkedIn, your employer or university/school, State CPA Societies, State Bar Associations, or other educational seminar providers. The “Use of Information” section below provides details regarding the ways we use and process Personal Data. From time to time we may provide statistics about the usage levels of our websites and other related information to reputable third parties, but these statistics will not include information which will allow you to be identified. We may use the information you provide to us and which we obtain from other sources to better understand your interests so we can try to predict what other products, services and information you might be most interested in. You may object to such customization at any time by contacting us (see Contact Information/User Rights below). As necessary to comply with our legal obligations, resolve disputes and enforce our contractual agreements. Unless a longer retention period is required by applicable law, we will retain your information for as long as your account is active, as well as for a short additional period afterwards to cover any outstanding issues or queries that may arise in relation to your account. This period of retention is subject to our review and alteration. You request or authorize the disclosure of your personal details to a third party. The information is disclosed as permitted by applicable laws and/or in order to comply with applicable laws (for example, to comply with a search warrant, subpoena or court order). The information is disclosed to your employer in the event they have an interest in your data (e.g., employers who pay their employees’ membership or registration fees). The information is provided to our event sponsors (e.g., list of registrants for an educational event). See below for additional details. The information is provided to our members, agents, vendors, or service providers who perform functions on our behalf. See below for additional details. Essential Cookies: These cookies are necessary for our websites to work properly. They are usually only set in response to actions you take such as logging in or completing online forms. You can set your browser to block or alert you about these cookies, but some parts of our sites will not function if these cookies are blocked. Functional Cookies: These cookies enhance the functionality of our websites by storing your preferences (such as your preferred language or the region that you are in) and allow us to provide enhanced features on our sites such as videos. These cookies may be set by us or by third-party content that we have placed within our pages. If you do not allow these cookies, some of the features on our websites may not function properly and you may not receive a personalized experience when visiting our sites. If you opt in to use the “Remember me” feature on our websites, we will place a persistent cookie on your hard drive and you will not be required to log in for every session. By disabling cookies on your machine or clearing your browsing history you may deactivate the persistent cookie. All major browsers allow you to block or delete cookies from your system. To learn more about your ability to manage your preferences related to cookies, please consult the privacy features within your browser. We strive to provide you with relevant and useful information related to our mission, principles and purpose. You can update your communication preferences at any time by visiting the preference center within your online account on our websites. Additionally, you can contact us using the information listed at the bottom of this policy to make changes to your communication preferences. Any promotional emails that we send will include a link at the bottom of the email to unsubscribe. By providing us with your Personal Data, you acknowledge and agree that we may from time to time transfer any of your Personal Data to other entities residing physically outside of the United States (e.g., staff, members, sponsors). We have implemented appropriate safeguards for transfers of personal information originating from the European Economic Area (EEA) to countries located outside of the EEA. These safeguards include implementing standard data protection clauses which have been approved by the European Commission or (in relation to transfers from the European Union to the USA) transferring Personal Data to entities who have signed up to the EU-U.S. Privacy Shield (https://www.privacyshield.gov/welcome). Please do not submit any personal data to us if you do not wish for your data to be transferred internationally. We use reasonable measures to strive to safeguard and secure the personal data we collect. Any transmission of personal information is at your own risk. Technology, such as, but not limited to, Transport Layer Security (TLS) and Secured Socket Layer (SSL), is used to enhance security and reduce risk of loss. Our security practices, processes or technology do not guarantee absolute security of your information and you should take all normal personal precautions such as, but not limited to, not sharing passwords, closing browsers, and not using public networks (e.g., internet cafes, etc.). You are encouraged to report any improvements, suggestions, or any suspected breaches of privacy or security to us by using the contact information listed above. Copyright © 2018 Tax Executives Institute. All rights reserved.